If you are interested in studying in the UK, most universities require you to have a certain level of English language proficiency. If you do not meet this level, or you just want to improve your English before you start your main course, taking an English Language course in the UK is often the best way to learn quickly. There are a number of different courses you can take, varying in length, intensity and qualification. Here you can find all the information you need to make sure you choose the right course for you. 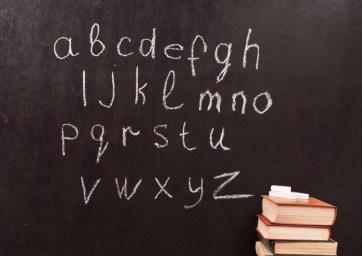 Why Should I Choose an English Language Course? Foreign students who do not have English as their first language but want to study at university in the UK are required to prove that they have a good level of English Language proficiency before they are accepted onto most courses. The two most common qualifications used to prove this proficiency are the ‘International English Language Testing System’, or IELTS and the ‘Test of English as a Foreign Language’, or TOEFL. For the former, most universities require non-English speaking students to have a score of between 6 and 7.5. For the latter, students can take a paper based test, which requires a score of 550-620 at most universities, or an internet based test which students need to get between 80 and 105. If your English language levels are not up to this standard then there is no better way to improve them than by attending an English Language course in the UK. By studying English Language in the UK you can learn far quicker, as you become immersed in the language whilst staying in England. To find out if what level of English your university or college requires, either check their website, or have a look at our directory of the top universities in the UK. What Different Types of English Course are there? There are a number of different types of English Language course available to foreign students, and they all last for different lengths of time. you can study for as long or short an amount of time as you like, ranging from just a couple of weeks, all the up to a whole year. Many universities offer courses designed specifically for foreign students who are soon starting a degree at that university. These are generally run during the summer before the next academic year begins in September/October. These ‘Preparatory English Language Courses’ are aimed at students who already have some knowledge of English but just need to improve it. They generally last between 2 and 10 weeks, and each week students will have roughly 20 hours teaching time. Most universities run them between July and September. Many universities also run longer courses that can last up to 9 months for foreign students. Often these help you with your English language in close connection to the degree you are going to take the next academic year. For example, if you hope to do a Business undergraduate degree starting in 2012, then you could study an English Foundational Programme with Business for nine months in 2011. These not only improve your English, but help you with the academic language that will likely be very important to your undergraduate degree. Once you have begun your undergraduate or postgraduate course, many universities also offer ‘In-sessional Support’ for foreign students. These are usually free sessions that are run once or twice a week and can be used to keep your English language at a good level. Once you have decided to take an English language course in the UK, the next step is to choose an institution and apply to it. 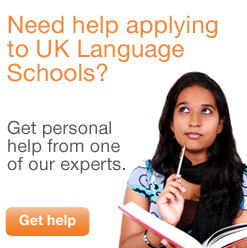 For a step by step guide to applying, visit our Language School applications section.